The finest grappa pleasure brilliantly distilled and matured in the small oaken barrel to rare goodness. A world of culinary rarities and sensuous pleasures. 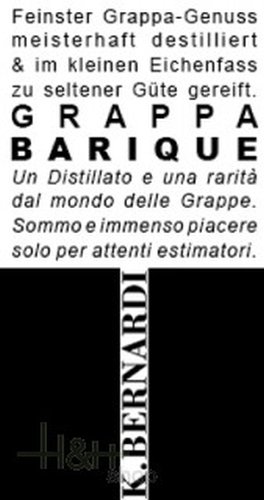 This grappa speciality of the distillery Walcher was distilled in small bain-marie fuel bubbles selected property carefully and slowly. A particular pleasure for demanding epicures.